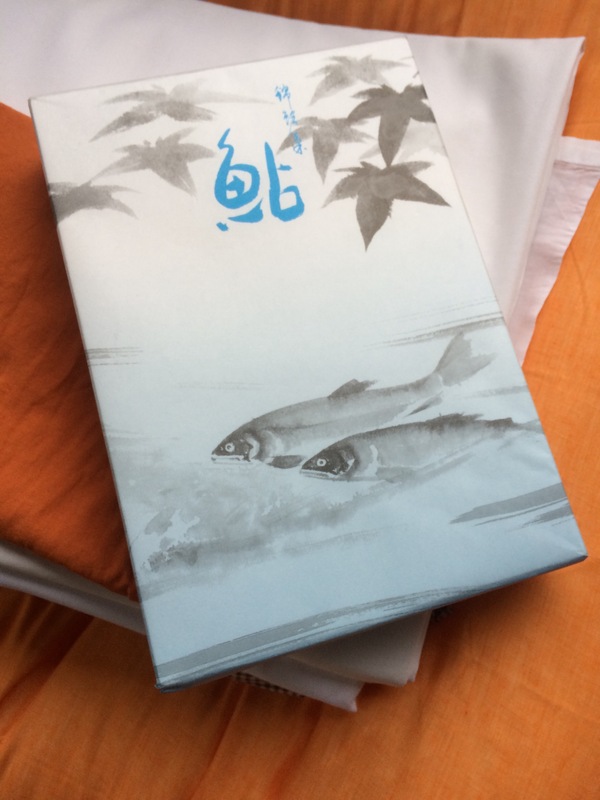 Mr Inoue gave us this box of fish shaped sweet biscuits as a parting gift. It was only after unwrapping them that we marvelled at the printed calligraphy of the paperwork. We come across this level of refinement – in the way people dress, department store goods and displays, presentation of food, the graphics of books and other printed media, and stationary – all the time. Typically this care, the look of things, does not spill into the architecture of the built environment. It is surprising when so much traditional building demonstrates such beautiful order and precision with simple materials and methods of construction. A few nights ago we sat in the ‘Edina’, a new department store in Hiroshima, watching the Saturday night shoppers. People looked so cool and urbane, women in berets and culottes, men in canvas jackets and ankle length trousers, that for the first time we felt really scruffy in our worn out travelling clothes. The building from the outside is a monster with no external windows except at ground and first floor levels. Inside it is a jewel of merchandising. Japan seems to be a country of contradictions – both incredibly beautiful but also ugly at the same time.